The Tan Trellis Motif is my favorite. i like the Bella motif. Black would look great in my kitchen! The black trellis print would be perfect. The black motif mat is sharp! I like the Brown Bella Motif. Probably the brown Original design. I like the Motif Collection and within that collection I would go with the Bella Motif in Burgundy. I like the bella brown….thanks for the contest! The Burgundy motif is my favorite design. 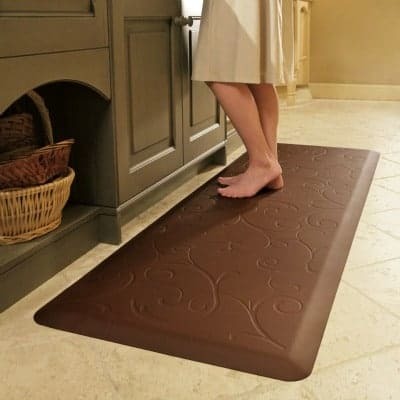 I would love the Bella mat in brown. Thanks for this contest! 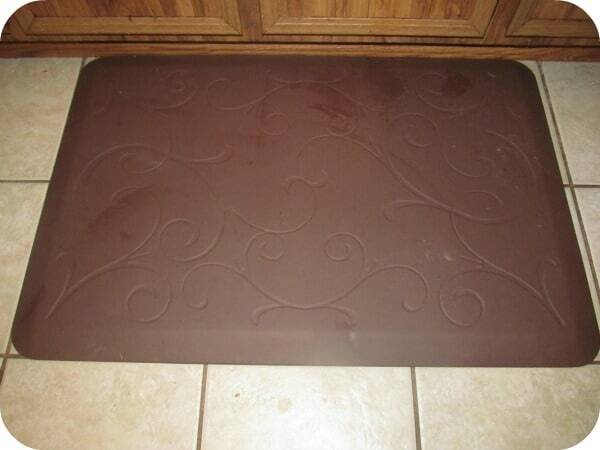 It Would Be Great To Win A 3′ by 2′ mat in my choice of color and style from WellnessMats. Visit WellnessMats and comment on which design is my favorite. My Favorite Is The Grey Motif WellnessMat. My fav is the Cantera, would go nicely with my white & blue kitchen. Thanks for the giveaway… we like the Trellis design. The Mum Watermelon design looks very nice!